Last night, I received my first text from the City of Flowood Text Alert system; a reminder of the Movies-N-Moonlight tomorrow evening at Flowood's Winner's Circle Park (by the tennis courts). 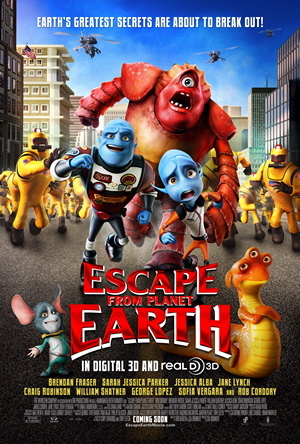 The movie is "Escape From Planet Earth". Gates open at 6:30 p.m., and the movie is slated to begin at 8:30 p.m. Bring a blanket, snacks, water, bug spray and your children.